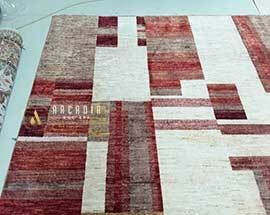 Rug Cleaning like you’ve never seen before! 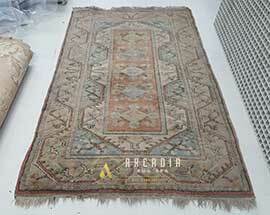 Arcadia Rug Spa have all the specialist equipment and knowledge to clean your rug with care. Being the only dedicated rug cleaning company in the whole of the North West, we provide the most through rug cleaning service you can get. Unlike most other rug cleaning companies, we only clean & restore rugs, all day, every day (6 days a week) and therefore have a vast amount of knowledge and experience in cleaning every type of rug. 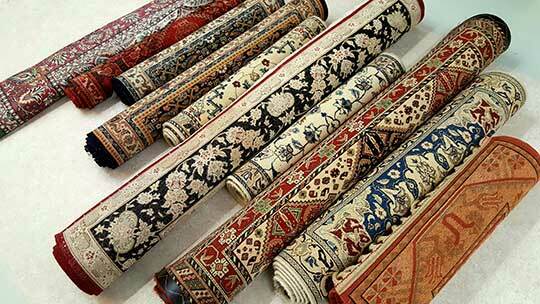 From Persian Hand Knotted rugs, Silk and Wool rugs to sheep skin and cow hides. With a passion for everything rug related Derek & Sian are your local family rug cleaning specialists. Rugs are excellent filters and are great at storing all those allergens, dirt and dust particles that vacuuming alone can not reach and remove. Our 12 step thorough rug cleaning process ensures the successful removal of all those soils that build up deep down in the pile, with the knowledge your rug will be left refreshed and as close to it’s original condition as possible. To clean your rug properly it needs to be cleaned thoroughly, Meaning the rug will be very wet and unless you have the superior equipment to dry them quickly then you can run into many problems such as dye migration and buckling. We have all the superior equipment, along with the knowledge, training and expertise for that true professional rug cleaning service. This video show’s the thorough 12 step rug cleaning process most rugs go through to get the best results for your area rug. Howver there is a very small amount of rugs that are not suited to being cleaned in the wash pit due to construction but it will still be cleaned thoroughly using a method that will be both safe for your rug while giving you exceptional cleaning results. 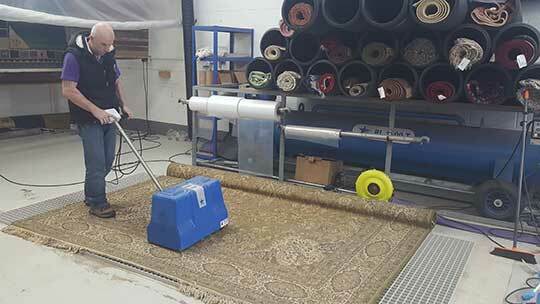 With the equipment and facilities we have here at Arcadia Rug Spa we are able to cater for all types of rug cleaning from Machine made Modern rugs to Hand Knotted Persian silk carpets. 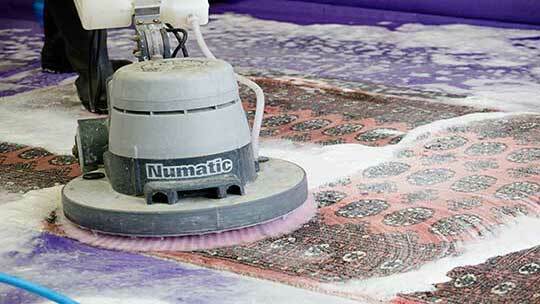 We have an extensive rug cleaning process that can be adapted to suit all rugs. It ensures a safe and effective way to clean and can remove all those soils, dirt & any odours in your rug. We also have a unique rug cleaning for pets process to treat any rugs that have pet accidents or odour issues. We understand that your precious area rugs need and deserve a high quality clean & specialist attention to keep your rug in good condition. You can be rest assured that your rug is in safe hands and will be left clean, revived and looking great after a through rug cleaning treatment with us. 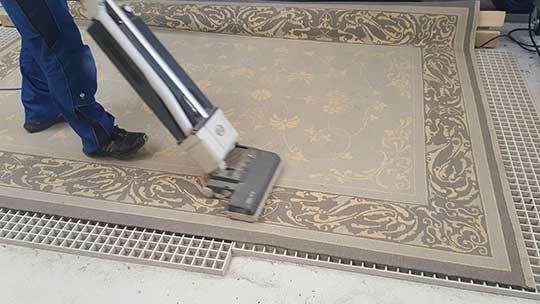 The dry soil removing processes are an extremely important part of cleaning a rug properly. 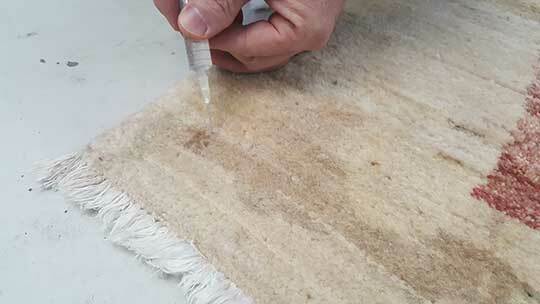 If we were to skip the dry soil removal steps then adding water to all that soil in the back of your rug will result in turning those soils into a muddy solution which will wick up through the rug fibres while it’s drying, therefore leaving the rug in no better condition than it was before cleaning. 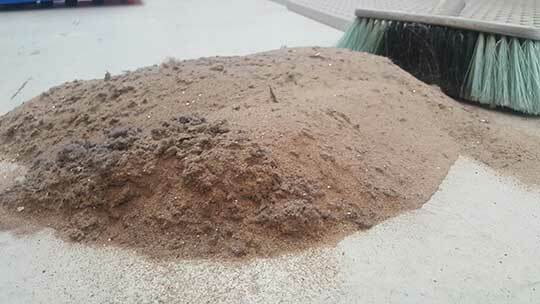 We regularly remove around 7-8lb of dry soils from rugs that’s the average weight of a new born baby! 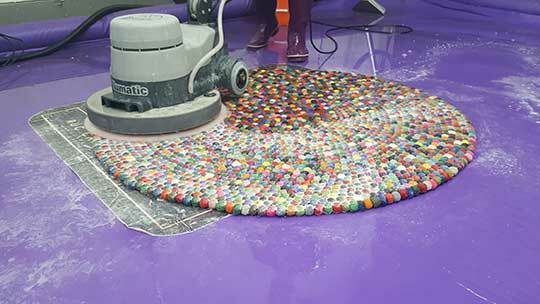 Power Vacuum – Using an industrial vacuum cleaner we will remove the initial dry soils sitting close to the surface of the rug. 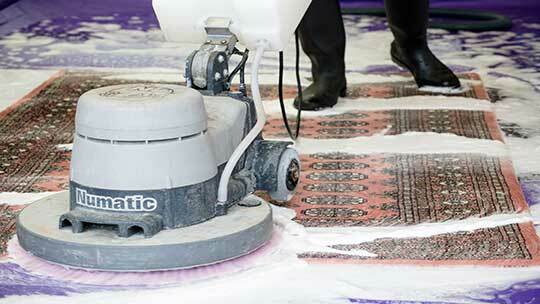 Rug Beating – The beating machine gently beats the back of the rug breaking up and loosening all those compacted soils. 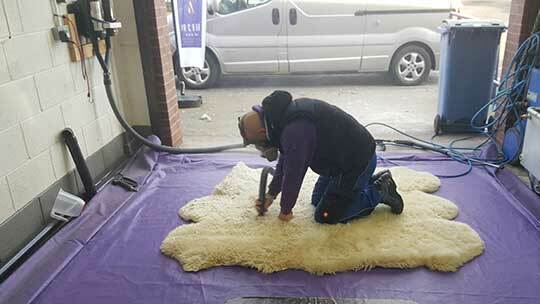 Air Dusting – This is where we jet powerful streams of air into the back of the rug, removing any remaining dry soils. 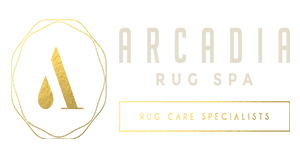 With extensive knowledge in rug construction, fibres and cleaning products, we will choose the best process and products to clean your rug and make it look and feel the best it possibly can. We even use specific products that are suited to your rugs fibre such as Woolsafe tested products for Wool rugs to keep the fibres feel nice and soft and will feel completely refreshed. 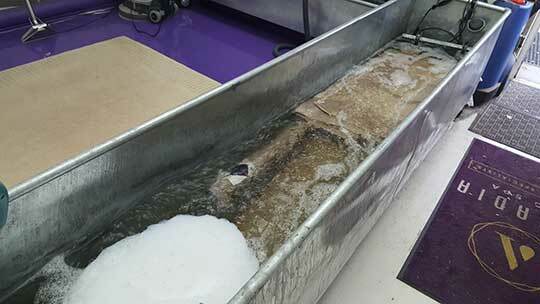 Rug Cleaning – This is where the rug will be placed in the rug washing pit filled with about an inch of water and the rug cleaning solution that is best suited to your rug, this is worked into the rug either mechanically or by hand depending on the rugs construction, this process is repeated on the reverse side of the rug for a truly thorough clean. Rinsing – We are now ready to rinse your rug, All the soapy water, soils and debris are washed away, with a thorough rinse with cold water. 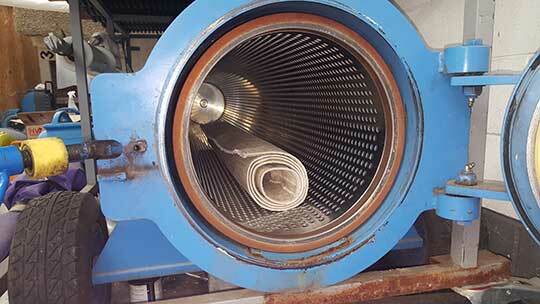 This process is repeated several times until the water runs clear. If your rug in need of some extra TLC due to stains, odours or accidents. We have a number of different treatments to tackle these problems. 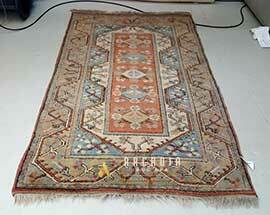 We are often asked to treat rugs due to pet urine accidents or even if odours from trying DIY methods of cleaning. Our vast amount of knowledge in stain treatments means we have a good success rate for stains treatments. Odour Treatments – This is where the rug will be placed in the wash tank, In here we can submerge your rug with odour busting products that will breakdown and remove the source of the odour, We don’t use over powering lemon fresh fragrances to try and mask the offending odour , we eradicate them so your rug smells like it should. Drying Room – Once your rug has been spun in the centrifuge it the needs to dry, Depending on your rugs fibres and construction it will either be hung to dry or laid to dry in the drying room. 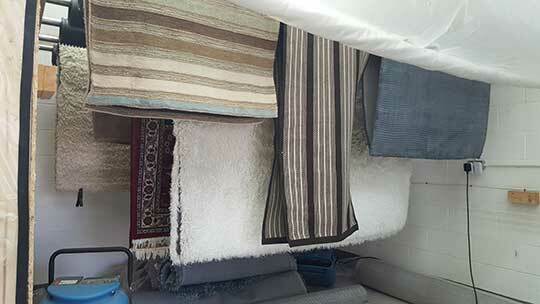 We can can speed dry your rugs in the drying room with the use of industrial fans and dehumidifiers. 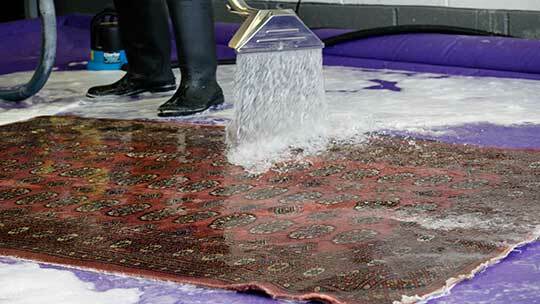 Along with our extensive rug cleaning service, we also offer a rug restoration & repairs service. We can restore & repair fridge damage, side cord damage, holes and tears, dye bleed correction, backing issues, missing tuffs, colour restoration for wool silk and nylon fibres. We have genuine reviews from real people. Great service from a great small company. 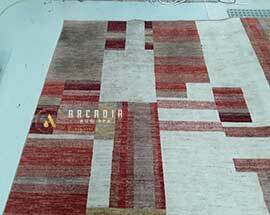 Found these on the web and the service from the out set was excellent, sent them a picture and the quote for two rugs came straight back. Dropped the rugs off and a week later as promised they were ready.Good price for the cleaning and really happy with the cleaning standard like new now as we had a dog that passed on so time to have the rugs cleaned properly as trying to do your self never as good as Acadia rug spa.Many thanks to the team for a excellent job.